Publisher: George R. Graham & Co. Author Bio for Graham, George R.
Graham first began his publishing work with an editorial position with the Saturday Evening Post. 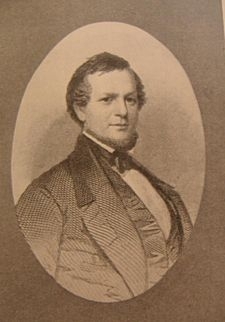 Its owner Samuel C. Atkinson announced on November 9, 1839, that he had sold the Post to Graham and John S. Du Solle. He then became the proprietor of Atkinson's Casket. 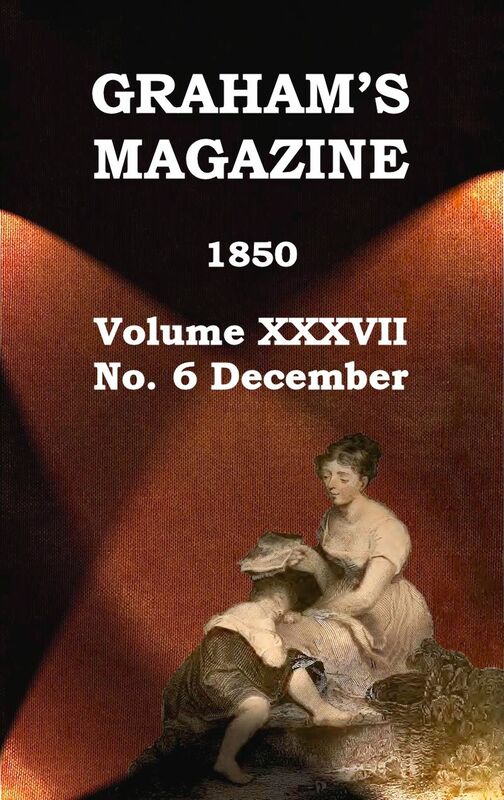 At the age of 27, Graham combined the fledgling publication with Burton's Gentleman's Magazine in December 1840. The acquired publication had 3,500 subscribers, bringing his total list to 5,000. In its first year, that number jumped to 25,000. Success was partially owed by Graham's willingness to include brand new engravings and illustrations at a time when most monthly publications were re-using old plates from other magazines. He also paid his freelance writers very well. In fact, in later years, a "Graham page" was the new standard of payment for magazine work. Edgar Allan Poe was hired as an editor and writer in February 1841. Graham agreed to help Poe with his planned journal The Penn if Poe worked for him for six months. By all accounts, Poe and Graham got along very well and had a good working relationship. Poe was paid $800 per year while Graham boasted $25,000 in profits. Poe originally called this salary "liberal" but later referred to it as "nambypamby" when compared to Graham's profits. Graham's Magazine was the first to publish many of Poe's works, including "The Murders in the Rue Morgue" and "The Colloquy of Monos and Una". Poe left the magazine in April 1842. Allegedly, Poe had offered first publication of "The Raven" to Graham, who refused. He may have given $15 to Poe as a friendly charity, but did not like the poem. Graham made it up to Poe a short while later by publishing the essay "The Philosophy of Composition" in which Poe tells of his inspiration for his famous poem and the technique of writing well. After Poe's death, Graham defended him against critics like Griswold. In March 1850, he published in his magazine "Defense of Poe" and, four years later in February 1854, "The Genius and Characteristics of the Late Edgar Allan Poe." Graham and his magazine worked with many other notable authors including William Cullen Bryant, James Fenimore Cooper, Nathaniel Hawthorne, James Russell Lowell and others. Epub 20160811.epub If you cannot open a .mobi file on your mobile device, please use .epub with an appropriate eReader. Mobi/Kindle 20160811.mobi Not all Kindles or Kindle apps open all .mobi files.